The trails we use vary from very easy to very difficult and you can ride from one hour to a full day or more. 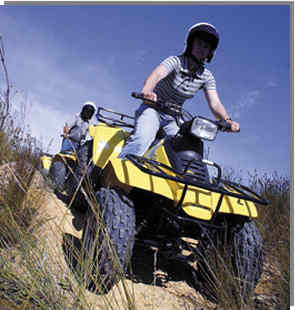 If you are a first time quad biker, we recommend that you choose at least a 2 hour trail, because it is only after an hour that you get the hang of it and then you really start having fun. 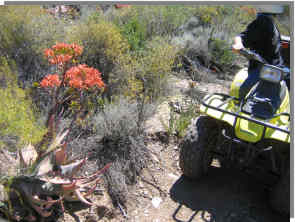 The 2 hour trail is also suitable for children and even the little ones of 2 years old enjoy it very much. 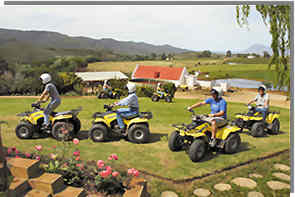 Whom do we advise not to go on a quad bike trip?